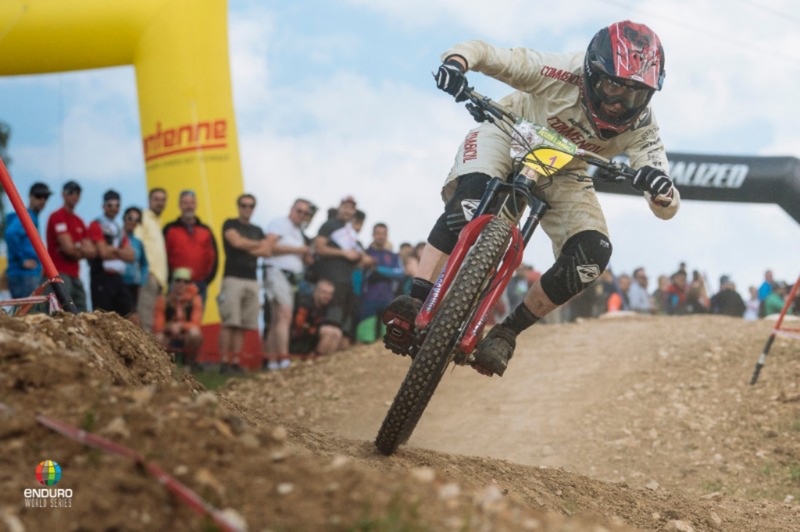 The fourth round of the Enduro World Series, Black Hole Festival Petzen Jamnica, threw up all the drama you’d expect from a race taking place across two different countries (Austria and Slovenia) at the midway point of the season. Check out full results here and press play to see the action. Six stages across two days of racing all came down to just 1.6 seconds and the final stage in the men’s race. 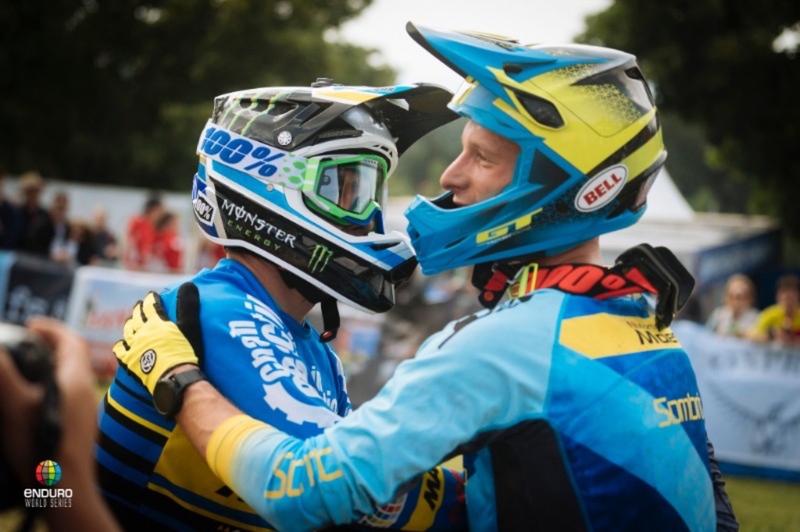 Sam Hill (Chain Reaction Cycles Mavic) and Martin Maes (GT Factory Racing) were locked in battle all weekend – each winning three stages – with it all coming down to the last stage of the race. After five stages Hill had less than a two second advantage over Maes, but the big Australian put the power down on the biggest stage of the weekend to finish ten seconds up. Robin Wallner (Ibis Cycles Enduro Race Team) rode consistently throughout the race to clinch third place. In the women’s race Cecile Ravanel (Commencal Vallnord Enduro Racing Team) put on a typically dominant display, dropping just one stage to Isabeau Courdurier (Intense-Mavic Collective). Behind Cecile a fierce battle for the other steps of the podium was emerging, with Isabeau rallying on day two to take second place and Casey Brown’s (Trek Factory Racing) strong finish on stage six rewarding her with third. Elliot Heap (Chain Reaction Cycles Mavic) was untouchable in the U21 Men’s competition, winning four of the six stages and even narrowly beating team mate Sam Hill’s time on stage one. 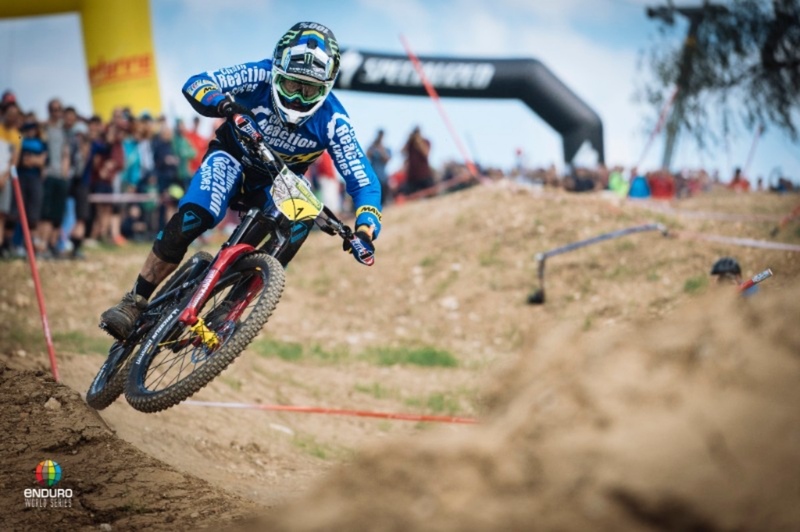 He won the race with a commanding lead over Theotim Trabac (Commencal Vallnord Enduro Racing Team) in second and Mirco Vendemmia (CMC Cycling Experience) in third. Yana Dobnig finished day one ahead in the U21 Women, but Elena Conolly mounted a fight back on day two and just pipped her to the win. Abigail Lawton rounded out the podium in third. In the Masters race Michael Broderick pushed hard all weekend, only to be pushed back to second place by reigning champion Karim Amour (Miranda Racing Team). Vlastimil Hyncica’s consistency paid off and he finished in third. Michelle Muldoon of Ireland was on the top step of the Master Women podium with Birgit Braumann in second and reigning champion Mary McConneloug in third. In the team race Canyon Factory Enduro Team lead, with Ibis Cycles Enduro Race Team in second and Chain Reaction Cycles Mavic in third. The EWS season continues in two weeks at the La Thuile Enduro World Series in the Italian Alps.